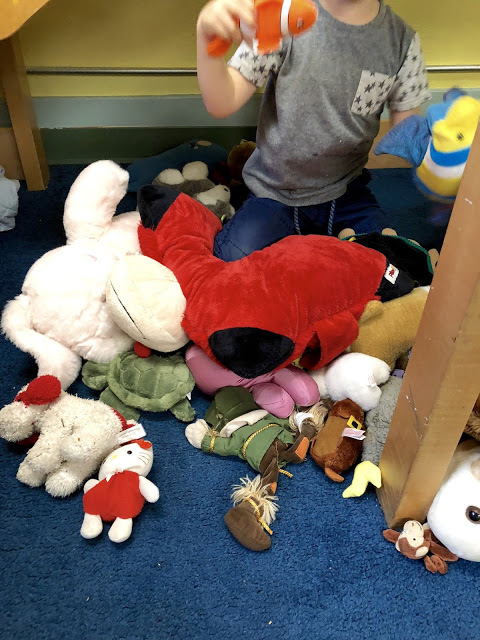 This is a cross-post from Teacher Tom’s blog. You can see the original post here. 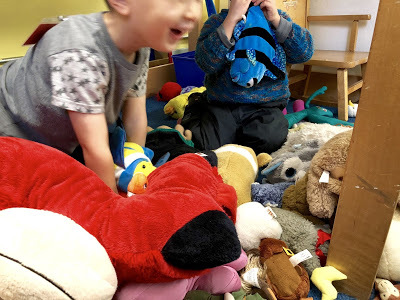 Last week, I found a pair of our three-year-olds holed up under our loft, surrounded by stuffed animals, cracking one another up with rhymes. It was a silly, almost wild game, one punctuated by breathless laughter and the occasional animal throwing. One of the most pernicious of our societal misconceptions is the one that suggests that if adults don’t play a hand in keeping children busy, then they will, at best, waste their time, and to your average adult this game was a classic waste of time. They aren’t even using real words for crying out loud! With the holidays upon us, there will be a temptation to “keep the kids busy” while they’re out of school, to look for ways to make things educational or productive or at least not a waste of time, but it’s a temptation worth fighting. We all need more time to be bored, to be silly, to play. The kids are alright without us adults always butting in: they aren’t wasting their time, indeed, they are using it for it’s highest purpose . . . burpose, murpose, turpose. 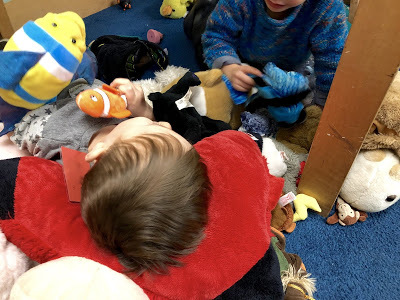 This is a cross-post from Teacher Tom’s Blog. See the original post. 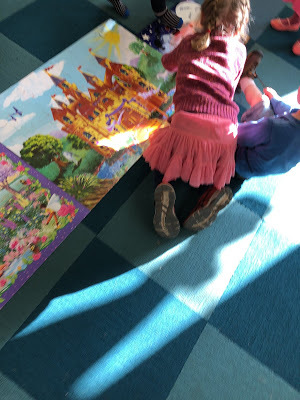 I was working a floor puzzle with one of the kids. 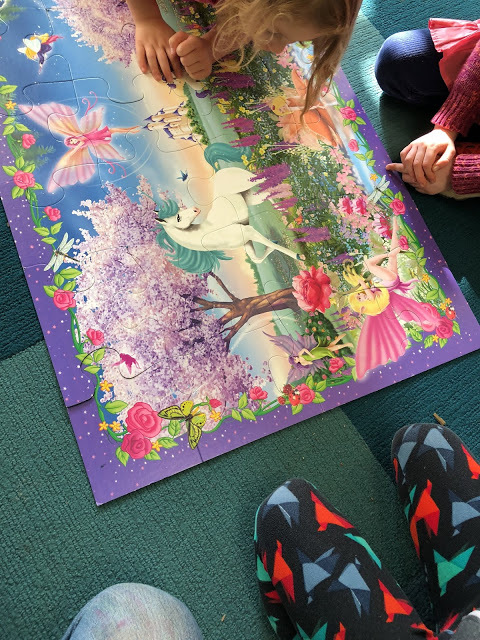 It’s a popular puzzle, one with fairies, unicorns, and a castle, but everyone else was busy elsewhere so we were one-on-one. Soon, however, we were joined by another girl, and together, the three of us fit the final piece into place. Then we began admiring our handiwork, as one does. “I’m that one,” said one of the girls, pointing at a fairy. “And this is my pet,” the first girl said, pointing to one of the unicorns. Her friend picked out one of the butterflies to be her pet, while I opted for a ladybug. “Oh, right,” then bending over the puzzle, she pointed to one of the windows on the distant castle, “That’s my bedroom.” So we each selected our bedrooms. “I’m just going to dive right into our land.” She pretended to plunge into the picture. “But first you have to pick a fairy.” The newcomer picked her fairy. “Then you have to pick a pet.” She picked a unicorn. “Let’s dive in!” and we all dove in. “But, how to we know if it’s night or day? 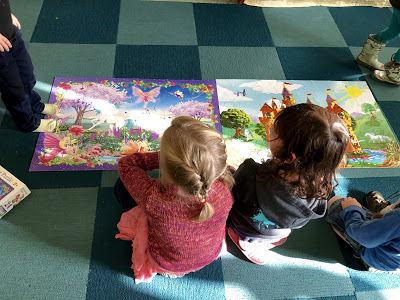 This puzzle has a sunshine and this other one is nighttime.” After a moment of study, we decided that the nighttime puzzle was where we slept and the daytime puzzle was where we played. 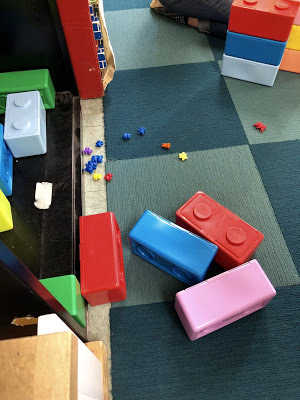 There was one more puzzle on the floor. This one was Halloween themed. “Let’s make that one too. Then we’ll have day and night and Halloween!” By the time we had pushed the third puzzle over to become part of our story, we had been at it for the better part of an hour. 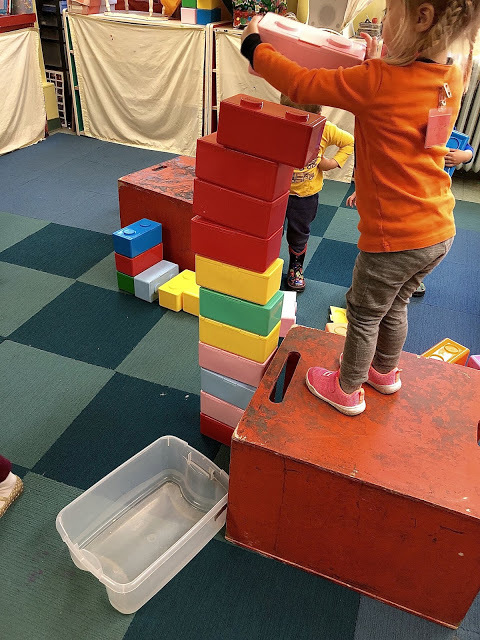 We watched our classmates playing in this place we had created together. Then one of the girls said, “This is the best world we’ve ever made!” and her friends agreed.